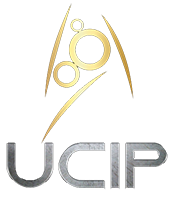 I just wanted to mention that the new temporary UCIP website is up. For those who are unaware I accidentally broke the old website- though not entirely on accident. I had Donald create a copy of the original website for me to begin working on seperately and without paying attention I logged onto the original site instead of the copy and well…started to delete a lot of stuff I didn’t like/thought was useless and the rest is history. Instead of leaving it looking strange I decided to just go ahead and put up a temporary site to last us until the new site is completed. Since the temporary website is actually doing a lot of what I want the new website to do (though a bit more compact) I have decided to push back the new site’s completion goal to give myself the ability to work on it leisurely. I think the temporary website is still leagues better then the old website and will work well until the new site is completed later in the year. Since i am sending an email I will also add a few notes. I am pushing back the census completion by a few days at the behest of a command team. This will also allow me to just attach the census results to my September Address which will be out by the 7th of the September.